SUPPORTING EVENT! 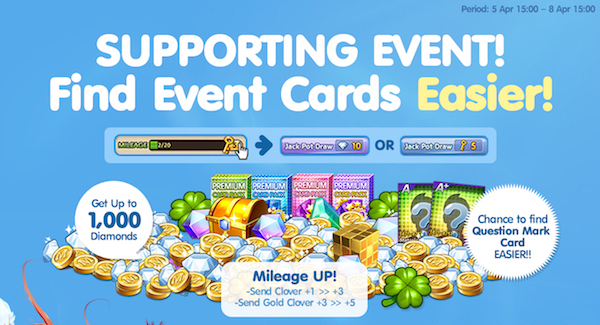 Find Event Cards Easier! GOLD & Ranking Point Bonus During this event period!! Question Mark Card x Diamond Promotion! [Event] EVENT BANTUAN! Temukan Event Card Lebih Mudah! Bonus GOLD & Ranking Point selama Periode Event berlangsung!! Question Mark Card + Promo Diamond!